The State's injuries board has disputed claims by the motor insurance industry that escalating motor accident compensation awards are adding to the costs of policies. Today the injuries board published guidelines for courts and insurance companies to pay compensation to those who have been injured in road accidents. It said awards for some injuries had escalated and others had fallen. It said there was no evidence available to prove the costs of awards had added to the cost of motor insurance policies. 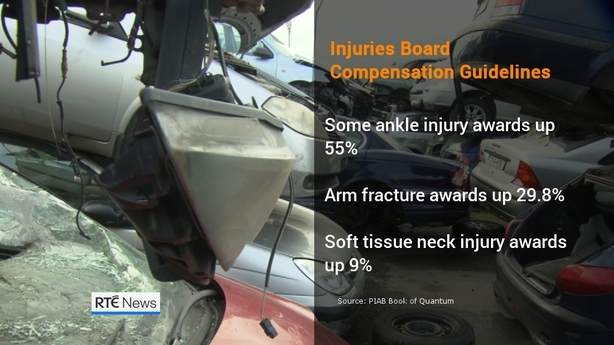 The study by Verisk Analytics on behalf of the Personal Injuries Assessment Board (PIAB) to update claim guidelines in the Book of Quantum shows for some ankle injuries average awards have risen by 55% - from €35,300 up to €54,700. Arm and lower leg injuries also saw significant increases, with compensation for an arm fracture in the lower range jumping by 29.8% to more than €38,000. Between 2004 and 2014, average awards for some soft tissue neck injuries rose by 9%, from around €14,400 to €15,700. However, some soft tissue injury awards fell over the same period. Soft tissue neck injuries in the higher range dropped by nearly €1,000 over the same timeframe - from €78,400 to €77,900. The values are reflective of the prevailing level of damages in the market. 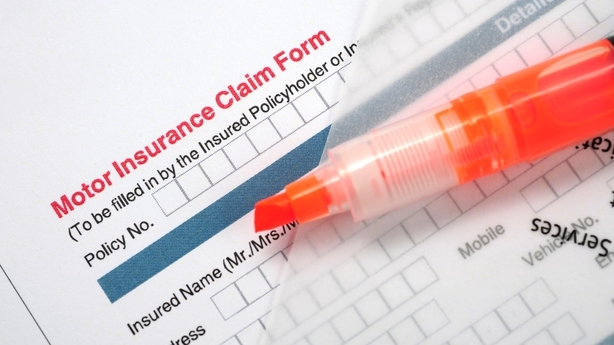 More than 51,000 closed personal injury claims were examined for the research, with data gathered from court cases, insurance company settlements, State Claims Agency cases, and the injuries board. Overall 35 groups of injuries saw the value of awards rising, while another 35 groups either saw values remaining the same, dropping or changing slightly. Chief Executive of PIAB Conor O'Brien said there was a lack of evidence to show that compensation awards were the key reason motor insurance costs had risen. 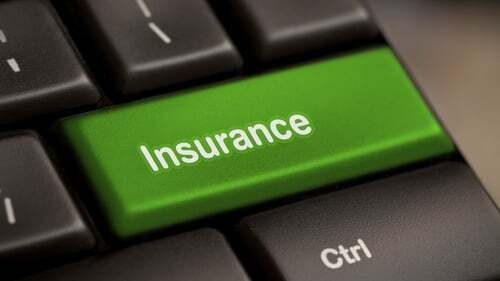 He pointed to other potential factors such as legal costs, pricing of policies by insurance companies and the return insurance companies are making on their investments. However Insurance Ireland, the lobby group for insurance companies, said Central Bank data showed there had been a 20% increase in the cost of awards. The cost of motor insurance has risen by 28% in the past year, according to the Central Statistics Office. Mr O'Brien said the purpose of the updated guidelines published today is "to assess the prevailing levels of compensation in personal injury claims across the entire market. "The figures reflect the reality of prevailing award levels. As such, formally collating and publishing this data should have a stabilising effect on award levels. "If adopted by all parties dealing with personal injury claims, the guidelines should ensure the level of damages is more predictable and consistent throughout the injury compensation system," he added. President of the High Court Mr Justice Peter Kelly also welcomed the publication, saying: "The fact that the publication has been updated, covers more injuries and has greater detail, is very positive. "While all cases are considered individually, judges will find the revised Book of Quantum very useful in informing decision-making in relation to the value of damages."